EU Brexit chief negotiator Michel Barnier has said a no-deal Brexit is "very likely" following another series of failed votes in the House of Commons on Monday night. Barnier said there are two Brexit scenarios that could play out: either the UK leaves the EU with no deal or the UK requests an extension past the end of May. 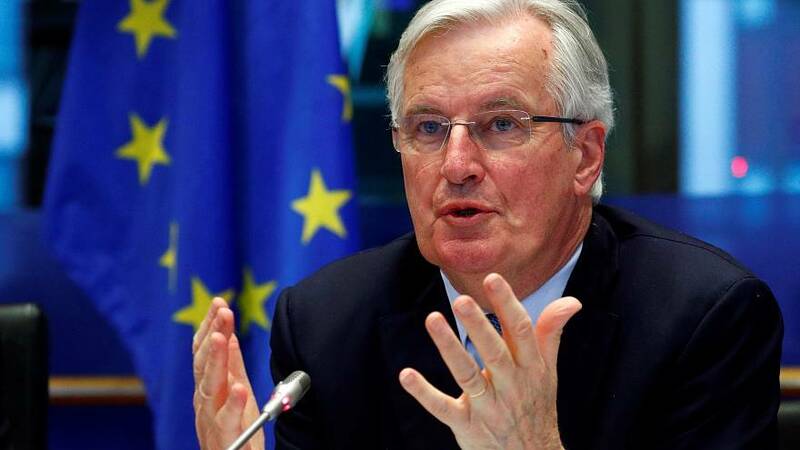 While Barnier said that a “no deal was never our desired or intended scenario,” he also expressed concern about a longer extension. The negotiator said that an extension past EU elections “would carry significant risks for the EU and therefore strong justification would be needed”. As the NATO alliance celebrates its 70-year anniversary, tensions grow between the US and Germany over defence spending. Germany's spending falls below NATO's goal of member nations dedicating 2 per cent of gross domestic products on defence spending. Germany's defence spending is projected to stay well below the 2 per cent mark, with 1.37 per cent of the GDP expected in 2020. The US, along with other NATO member states, have expressed concern and frustration with Germany's low spending rates. European Commission President Jean-Claude Juncker has expressed worry over Italy's slowing economic growth. Juncker in a statement on Tuesday said he urges the Italian government to do more to increase economic growth. Concerns from Juncker come following a report from the Organization for Economic Cooperation and Development that predicted the Italian economy would contract by 0.2 per cent in the coming year. The OECD had also forecast that the Italian deficit will increase to 2.5 per cent in 2019.